A summer in Italy turns into a road trip across Tuscany in this New York Times bestselling debut novel filled with romance, mystery, and adventure. Lina is spending the summer in Tuscany, but she isn't in the mood for Italy's famous sunshine and fairy-tale landscape. She's only there because it was her mother's dying wish that she get to know her father. But what kind of father isn't around for sixteen years? All Lina wants to do is get back home. But then Lina is given a journal that her mom had kept when she lived in Italy. Suddenly Lina's uncovering a magical world of secret romances, art, and hidden bakeries. A world that inspires Lina, along with the ever-so-charming Ren, to follow in her mother's footsteps and unearth a secret that has been kept for far too long. It's a secret that will change everything Lina knew about her mother, her fatherand even herself. People come to Italy for love and gelato, someone tells her, but sometimes they discover much more. 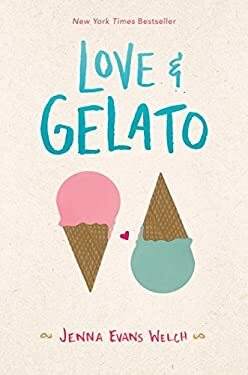 Kirkus Reviews called Love & Gelato ""a sure bet for fans of romance fiction,"" while VOYA said readers ""will find it difficult to put this book down."" Readers are about to discover a new place, a new romance, and a new talent.